Sandstone Distillery owner John Bourdon wants his liquor to display the terroir of the grains it was made from. Stroll down the wine aisle at your local store and you'll notice just about every bottle lists where the wine grapes were grown. The raw ingredients for beer and whiskey also come from the land, but more often than not, you can't tell where they're from. That's changing in the Pacific Northwest. Here, some distillers, brewers, farmers and university researchers are exploring if there is a way to highlight and sell the taste of the local "terroir." One of those distillers is John Bourdon, founder of Sandstone Distillery near Tenino, Washington. The craft distillery has more than 200 competitors just in Washington and Oregon alone, so Bourdon said he needs and wants to be distinctive. For him, the pathway is to sell liquor with a sense of place, achieved by using local grain. "It does make a difference," Bourdon said in an interview among the polished kettles and condensors of his distillery. Bourden buys all the wheat and barley that he cooks, ferments and distills from his home county or from farms in nearby counties — basically the Chehalis River basin. "We don't want to taste like anyone else," Bourdon said. "That uniqueness comes from the land. The terroir of this area will give us our distinctness." Sandstone is part of a new trend in the craft spirits business to run with the concept of terroir, which is a term normally associated with wine, not whiskey. The movement has a variety of catchphrases: farm-to-bottle, grain-to-glass, plow-to-pint. "One of my favorites — and it's just tongue in cheek, I pull it on everybody every time I do a tour — is, 'kernel to urinal,'" Bourdon quipped. Washington State University Thurston County Extension Director Stephen Bramwell likes the term "ground to glass." "There's a story to be told for our region's farmers and for our region's barley," Bramwell said. "We can taste it and hopefully we can get the public excited to support that." But a supportive public would also have to support paying more for local spirits than they would for a mass-produced product. Bramwell's ultimate goal is to revitalize the local grain economy, in this case in Southwest Washington. 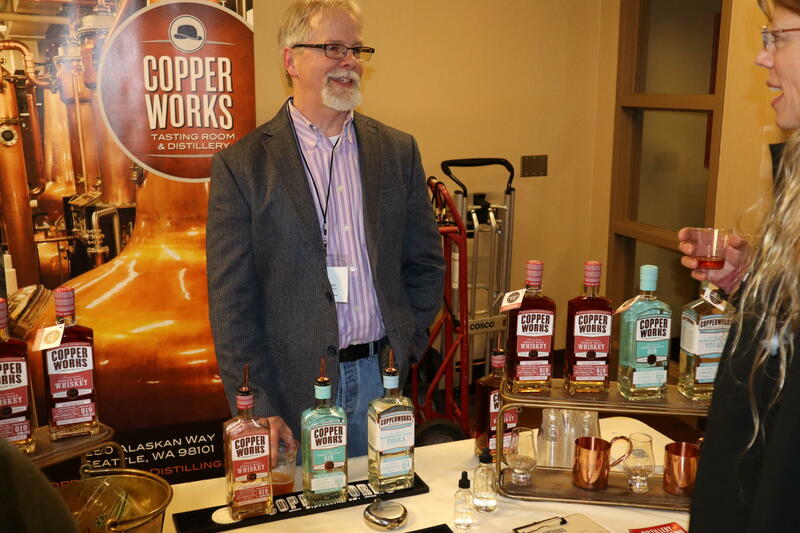 Copperworks Distilling co-founder Jason Parker said his Seattle distillery is turning single farm, single variety, single vintage malts into whiskey to capture flavor from the field all the way to the bottle. WSU and Oregon State University have been running field trials for the past few years to evaluate new barley varieties optimized both for growing in the Northwest and for craft brewing and distilling. The plant breeding and selections are far enough along that beer and whiskey makers have gone to work on the resulting crops. Now, professionals and consumers can see if they can taste any differences. "Think about flavor, aroma, visual," Adam Foy of Skagit Valley Malting told a crowd gathered around his table for a tasting during the annual Cascadia Grains Conference in Olympia earlier this January. Foy offered samples from two batches of beer brewed the same way, with one exception: One batch used commodity barley and the other an experimental variety. Tasters Ruth Perkins from Albany, Oregon, and Brian Bolduc from Silverton said they certainly noticed a difference. "This one which I believe is the pilot, is more fruity, it's kind of apple-y and not as bitter on the finish," said Perkins as she studied the cups in her hands. "I thought one variety was smoother, less pronounced on the mouthfeel," added Bolduc. "The other was a bit more sharp, maybe a little bit more thin." The malt house manager said consumers may discover a bigger difference in whiskeys than in beers because a strong hops — like in an IPA — can overwhelm the subtleties of distinctive barleys. "Think about barley like a grape," Foy said, warming up to the wine analogy. Foy added that his industry could "go down the varietal exploration path." "It's just kind of an exciting time since everybody is excited about having terroir and tasting the flavor differences between different regions," said Fisk in an interview. Fisk said the OSU project focused more on barley for beer brewing while the WSU research is leaning more to distilling uses. 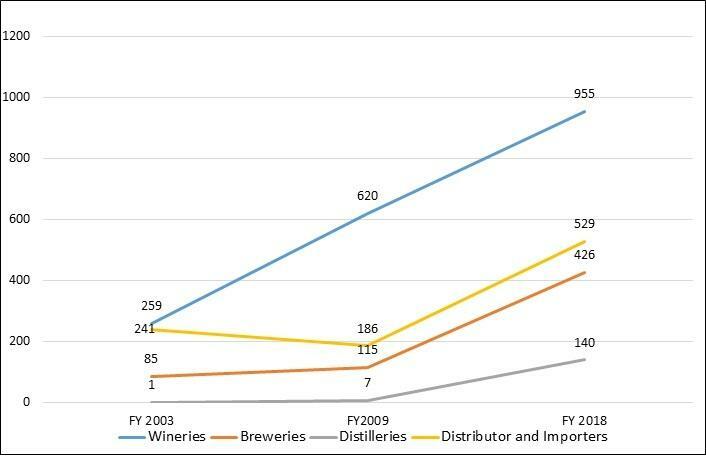 The number of licensed craft distilleries and breweries has grown tremendously over the past decade in Washington state. Nowadays the vast fields of grain in eastern Washington and northeastern Oregon feed the world. But once upon a time—1825 to be exact—the first crop of wheat in the Northwest was planted at Fort Vancouver. For the rest of the 19th century, many farmers grew wheat, oats, rye and barley west of Cascades. Now, foodies, farmers and others are collaborating to revitalize the historic grain production on the wet side.